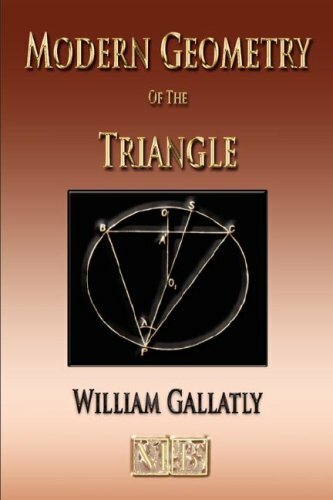 In this little treatise on the Geometry of the Triangle are presented some of the more important researches on the subject which have been undertaken during the last thirty years. The author ventures to express not merely his hope, but his confident expectation, that these novel and interesting theorems some British, but the greater part derived from French and German sources will widen the outlook of our mathematical instructors and lend new vigour to their teaching. Contents: The Foundations Of Four Dimensional Geometry; Points And Lines; Triangles; Planes; Convex Polygons; Tetrahedrons; Hyperplanes; Convex Pyramids And Pentahedroids; Space Of Four Dimensions; Hyperpyramids And Hypercones; etc.